More than three million tons of goods were handled at Sabetta in 2015. When in full swing, the port will have capacity for 30 million. At least 13000 people are working on the remote coast of the Yamal Peninsula to develop the Yamal LNG plant and the nearby Sabetta port. Already in 2017, both plant and port are to be ready for operations, project developers say. That will result in a major boost in regional shipping. Already now, ship trafficking in Russian western Arctic waters is surging because of the project. In 2015, about three million tons of cargo was delivered at Sabetta, Novatek leader Leonid Mikhelson recently told President Vladimir Putin. 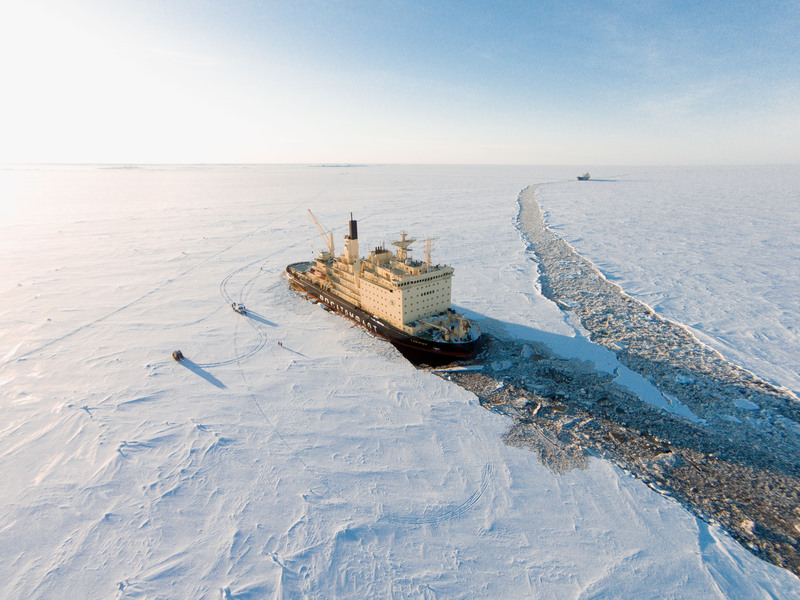 The new port is the key reason why shipping in the Russian Arctic is on the increase. In 2015, a total of 5,39 million tons of goods was shipped on the Northern Sea Route, a 45 percent increase from 2014, PortNews reports. Foreign vessels account for about 15 percent of the 2015 shipments to Sabetta. According to local customs officials a total of 50 foreign vessels in the course of the year delivered a total of 538,000 tons on site, PortNews reports with reference to YamalPro. Sabetta will be capable of handling up 30 million tons of goods per year. That could make it the world’s biggest north of the Arctic Circle. In Murmansk, the currently biggest port in the Arctic, a total of 22 million tons of goods were handled in 2015. Sabbeta is already operating round-the-year, and the nuclear-powered icebreaker «Vaigach» is currently on site to clear the shallow waters. By project launch, a new 10MW icebreaker will take over that job. While the Yamal LNG project is developed by Novatek together with several foreign partners, the Sabetta is a joint project of Novatek and the Russian federal government. The Yamal LNG plant is to deliver a total of 16,5 million ton of liquid gas per year. That will be shipped to the world markets both westwards and eastwards along the Northern Sea Route.